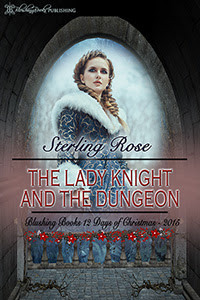 After an unfortunate run-in with her captain under the mistletoe, lady knight Sophia Rosalind lands herself a long night of dungeon duty. The only entertainment to be found comes in the form of a prisoner – a handsome prisoner at that, with many a tale to tell of life on the seas and the bounty hunting circuit. The lady knight and the prisoner find they have similar interests, particularly in the realm of old-fashioned relationships. They converse like best friends. Connect like long-lost lovers. But their first night of lively communion must also be their last. This particular prisoner is destined to meet his end at the hands of an executioner. FREE Until Wednesday, Dec. 16th at 10PM EST!